A complex narrative style reflects the brokenness of a man recovering from a gunshot wound to the head. 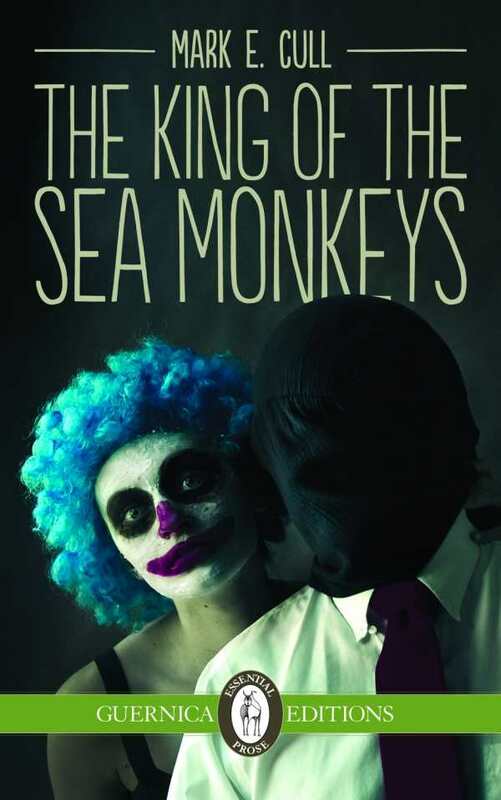 Looking both intellectually and intimately at a life unraveling, Mark E. Cull’s The King of the Sea Monkeys is in turns surreal, clever, and sad. The book tells of Paul, a father, husband, and teacher recovering from a brain injury. The story is told in an intentionally disjointed manner, reflecting the subject’s mental state as he recovers from a gunshot wound to the head, suffered during a robbery gone wrong. Structurally, the book is like a series of connected short stories more than the more linear storytelling expected in a novel. The majority of the story is simply a series of dialogues between Paul, his family, and his friends. T. S. Eliot’s poem “The Waste Land” plays an important role throughout the book; it is quoted directly, referenced, and discussed. The notoriously difficult poem provides an interesting parallel to the tangled nature of the protagonist’s perspective. In one particularly telling scene between Paul and a student who admits to not understanding the poem, Paul tells him that Eliot confessed years later that it was complicated on purpose, to expose fake scholars. A similar feeling of intentional complexity, an unusual narrative to unsettle the reader, permeates The King of the Sea Monkeys. The book is heavy on dialogue. Physical description is minimal. At times, the reader may find places and faces hard to pin down. There’s a lot of talking and a lot of thinking, but precious little sensory input. The cumulative, possibly intentional, effect of this is that the story takes place very much in the mind, like an intellectual exercise. The cover is disturbing, depicting a somewhat nightmarish clown and a man with his face covered. While an arresting image, it does little to convey the real flavor of the story, which is not so gaudy. The King of the Sea Monkeys is at times frustrating but is a rewarding experience. It goes down paths seldom traveled to provide a philosophical and emotional look at a wounded mind.